Retain Your Business Documents the Smart (and Legal) Way. Streamlining company records is a necessity for every successful business. Not only does it help clear up office space, but purging unnecessary documents helps keep you more organized. However, it’s more than just tossing handfuls of old documents into a shredder and calling it a day. Before committing to organizing your company records, it’s important to know which ones are safe to discard and which ones you should save. There are policies in place that safeguard company records by requiring employers to store them for a specified length of time. Each type of document has its own retention requirements, so it’s a pretty sensitive process. Not to mention that there’s you may be storing documents that could’ve been discarded long ago. Here are some examples of what kinds of business documents you should retain and their required length of retention. Human resource files: The length of employee file retention depends on the employee’s status with your company. For starters, files for current employees should be kept for the entirety of their time in your company. Files must be kept for 7 years after their departure–regardless of whether they leave or are terminated. For job applicants who were not hired, their files must be retained for at least 3years after applying. Discrimination claims filed against your company must be kept for at least 4 years after the case has been closed. Paperwork for employees who have suffered an on-site accident must be retained for a minimum of 4 years after the case is resolved. As far as which files should be retained permanently, consider keeping any pension payment, employee benefit or profit sharing plans. The IRS has a complete list of qualifying employment tax records on their website for further reference. Business income tax returns (and any supporting documents): The IRS has some pretty strict tax document retention guidelines. Having these documents on-hand can be the difference between overcoming a business tax audit and landing your business in a heap of tax troubles. Therefore, keep a copy of your business income tax returns and any records that support any business income or deductions claim until the “period of limitations” for that tax return expires. 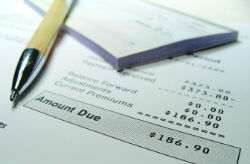 Bank account/credit card statements: Unless these statements are accompanying tax or other key business documents, consider retaining these for at least 7 years. Your company’s annual statements should be kept for the same length of time. Underlying monthly statements can be discarded after a year. You’ve Done the Work, Now It’s Time to Reap the Benefits. Now that you’ve separated your “save” from your “shred” documents, it’s time to decide what to do with them–that’s where a document scanning professional can come in handy. Streamlining your company records can be a much simpler process if your documents are stored in a digital platform. At Document Scanning Services LLC, we help a number of industries nationwide with their document retention needs. 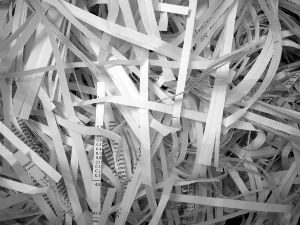 Not only are we able to digitize the documents you want to save, but we can also shred these documents upon completion, as well. Our Ft. Lauderdale document scanning services make the document retention process simple and straightforward. For more information regarding document retention guidelines and how your business can reap the many benefits of digital record storage, contact us today at 954-271-0118 for a free quote.